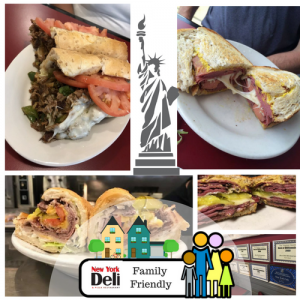 We are one of the most family friendly and kid friendly restaurants or sandwich shops in Williamsburg, Lightfoot or James City County. The Williamsburg, Va area is a family oriented place and nothing brings a family together like a good meal. But eating out with children is not always easy. Throw in hunger and the endless excitement of visiting the many attractions in Williamsburg Virginia and Lightfoot, and being a parent can be downright difficult. A labor of love of course. Obviously great food that appeals to everyone is probably primero uno on every parent’s list of what they expect in the Williamsburg area. And I can’t say I argue with them. We feel that way as well. That is why our food is absolutely scrumptious. That might seem like a bold statement since there is no official “scrumptiousness” award. But there is a Best of Williamsburg Award which we have won every year for over a decade. Just to put that in perspective, that is hundreds of Williamsburg parents and families voting us the best. So we have the incredible food. You can check that off your family friendly requirement list. Have lots of things for them to do. 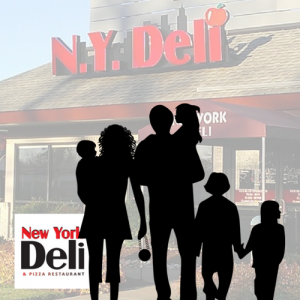 Even in a fast paced place like NY Deli & Pizza you will wait a little. Have those cell phones charged up so the kids can play with them in line or waiting at the table to get their food. Have an extra cell phone battery pack charged up to because they may finish sooner than you at the table and if they are out of power, they are going to be keeping you busy. Time and hunger do not mix. We are open all day. Come join us with the whole family. Get the family fed early and eliminate angry hunger as a contributor to a rough family dining experience. Our menu is designed to appeal to a wide range of ages. 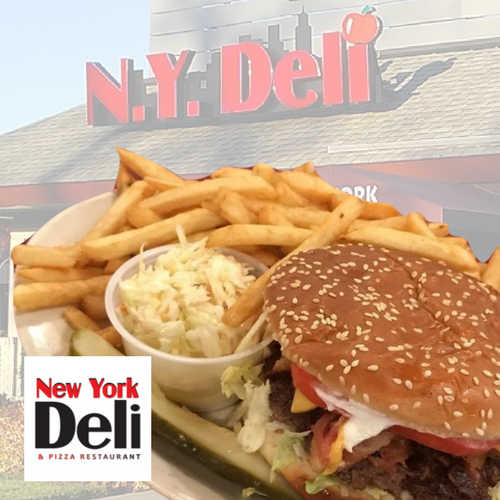 We have pizza,sandwiches, burgers, salads, subs, and Italian specialties. These are all very popular with the kids as well. Naturally if the kids are eating and not being bored or complaining, your experience is going to be more enjoyale.